Writing about yourself stinks. And I don’t mean writing an autobiography. I’m talking about cover letters. There’s a point in all of our lives, whether you are a writer or not, where you get bored with what you are doing and decide to throw yourself back out into the water with the sharks. I’m at that point right now. I am not unhappy with all of the opportunities that have been afforded to me over the last year. I think they just pointed me down the right road after I was stuck at the fork. I want more of what I’m doing and I want it to be challenging. It has been a while since I looked for a new position in the traditional manner. I’ve been lucky enough to have been referred for much of my work. Now I remember why I love referrals. You don’t need a cover letter. 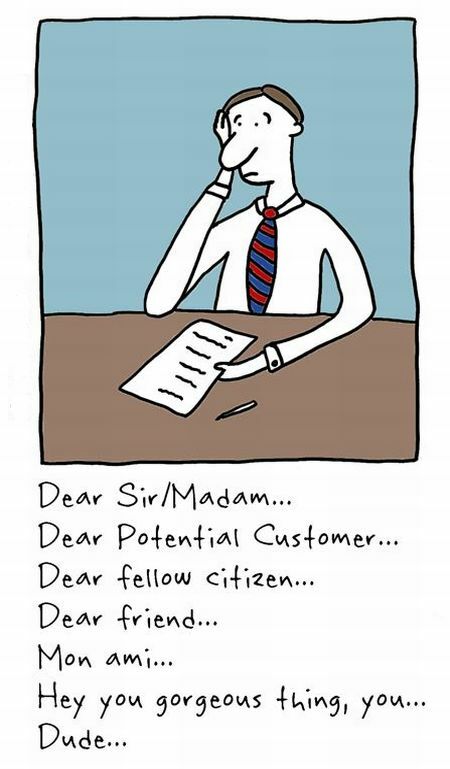 I hate cover letters. I spend entirely too much time crafting these documents. Why is it so hard to talk about yourself? I think it’s the pressure that comes with this brag letter. Grammar and Spelling: In my full-time position, I see terrible misspellings, uses of the wrong word and just plain bad sentence structure. I think this has made me overly obsessed with perfection on cover letters. First Impressions: This cover letter is supposed to be a first impression snapshot of who you are as a person and what you and your skills can bring to an organization. Obviously you want to look good on paper. But if you look too good are you disqualifying yourself? If you don’t look good enough will they just delete your email? Length: The jury is still out on how long cover letters should be and where you should be attaching them electronically. The options vary based upon the method in which you are applying for a job. I find that I just have to use my best judgment, take a stab at it and hope for the best. Accomplishments: Sure you think something is a great accomplishment to brag about, but really, is it an accomplishment to the hiring executive? I think we should do away with cover letters all together. Just look at my resume and bring me in to talk to you face-to-face. I’m much better talking about myself when I’m in front of someone else who is asking me what they really care about, not about what I think they care about. Do you hate writing cover letters? What challenges have they brought you and have you found ways to overcome them?